He's putting the Porngate email scandal in the past and going into private practice. 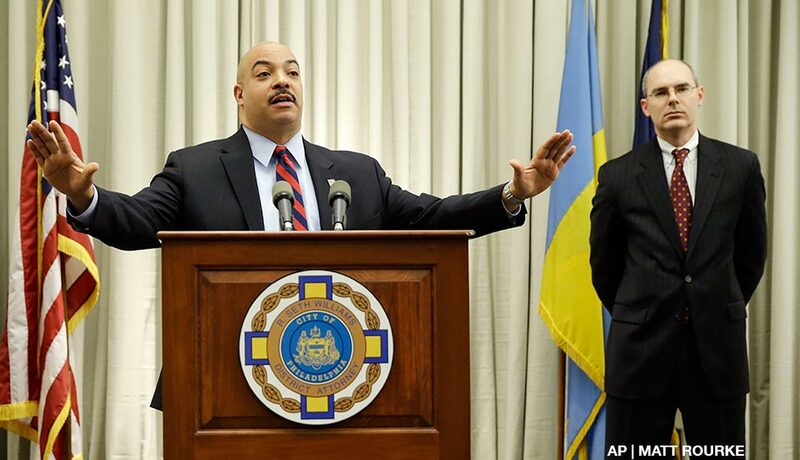 By David Gambacorta·	 6/7/2016, 11:48 a.m.
Philadelphia District Attorney Seth Williams, center, accompanied by investigator Frank Fina, speaks during a news conference Monday, Jan. 27, 2014, in Philadelphia. Frank Fina‘s controversy-plagued tenure with the Philadelphia District Attorney’s Office has quietly — like really, really quietly — come to an end. The longtime prosecutor — and lead character in the never-ending state Porngate email saga — submitted a letter of resignation on May 9th, said Cameron Kline, a spokesman for District Attorney Seth Williams. Fina’s last day in the office was on June 1st. Williams could not be reached for comment. “District Attorney R. Seth Williams wishes Mr. Fina the best after his many decades of service to the Commonwealth of Pennsylvania and the City of Philadelphia,” Kline wrote in an email. Fina’s resignation was first reported this morning by the Legal Intelligencer. He told the Intelligencer that he plans to go into private practice, focusing on criminal defense, likely servicing clients in Philadelphia and Harrisburg. There’s no quick way to sum up Fina’s story, but we’ll try. 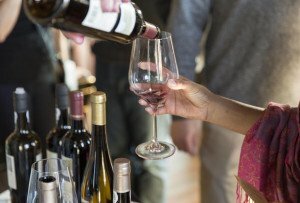 He was once a star state prosecutor who helped to put notorious child predator Jerry Sandusky behind bars, as well as numerous crooked state politicians in the separate Bonusgate and Computergate scandals. He also famously clashed with state Attorney General Kathleen Kane, and jumped ship after she took office in 2013. Williams hired Fina, along with two other former state prosecutors, Marc Costanzo and Patrick Blessington. And then all hell broke loose. A special investigator hired by Kane to review the Sandusky case inadvertently discovered thousands of pornographic, racist, misogynistic and homophobic emails that had been traded on state computers, by state employees, under her predecessor, then-Attorney General Tom Corbett. Kane also believed Fina leaked information to the Inquirer about a political sting case that she declined to prosecute. She, of course, was later criminally charged with allegedly leaking grand jury information to the Daily News about a case Fina worked on in a twisted form of political revenge. Kane is scheduled to go to trial this summer, and ultimately decided not to run for another term. Last August, the state Supreme Court released hundreds of pages of offensive images that Fina and others had traded through state email accounts. (Costanzo and Blessington had received some emails, but never sent any.) Williams was inundated with calls from activists and local politicians to fire Fina, Costanzo and Blessington, but he resisted, arguing that there was no evidence that the men had behaved inappropriately in his office. He called for the prosecutors to undergo sensitivity training, and later reassigned them to different positions in the D.A.’s Office. Interestingly, the D.A.’s Office didn’t acknowledge Fina’s resignation until now, even while the office continued to absorb flak over his employment.